25th Anniversary! Spoil yourself & the kiddies with a fun family day out! The Food Village will return! The centrepiece of the event as the name suggests is the Donkey Races and Donkey Rides, which are supported by other special arena attractions. The Donkey Derby is organised by the Rotary Club of Burnham Beeches, whose members come from the Burnham and Farnhams area. 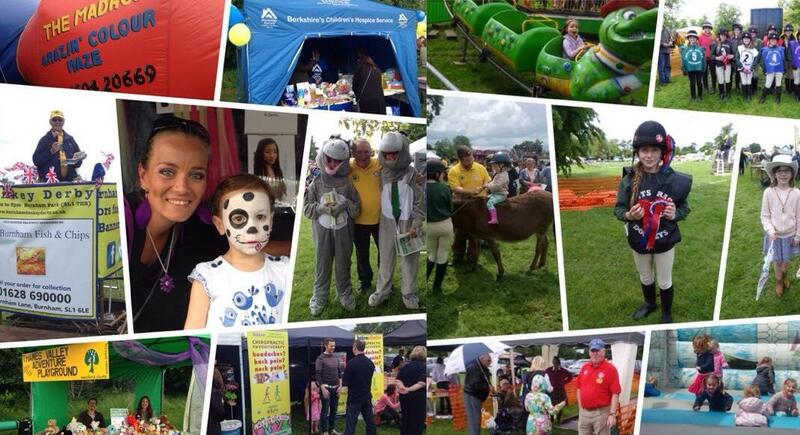 The founders of the Donkey Derby wanted to create an annual community event which enabled people in Burnham and surrounding areas to come together to enjoy a family day out which is FREE. Over the last few years, the Club has donated more than £250,000 to such causes as Marie Curie Cancer Care, the Thames Valley Hospice and the Thames Valley Adventure Playground, and many others. Spoil yourself & the kiddies with a fun family day out! The Food Village will return!